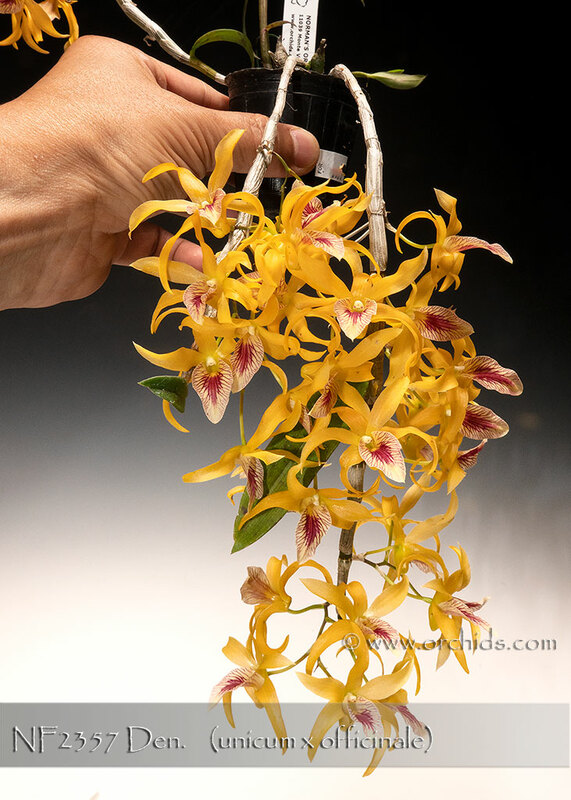 A charming new primary Dendrobium hybrid combining two fabulous species to produce a miniature growing, weather-tolerant result ! Although the progeny will vary according to the dominance of one parent over the other, they will all carry a light fragrance and the delightfully striped lip of its Den. unicum pod parent. And like its Den. unicum parent, the color of the flowers will become darker orange as they mature. 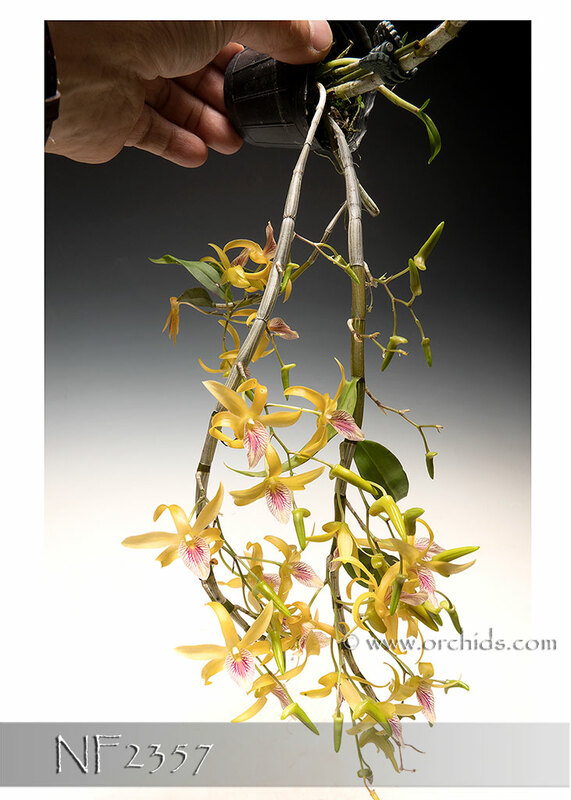 For something truly different in this great orchid family, this new hybrid is Highly Recommended !